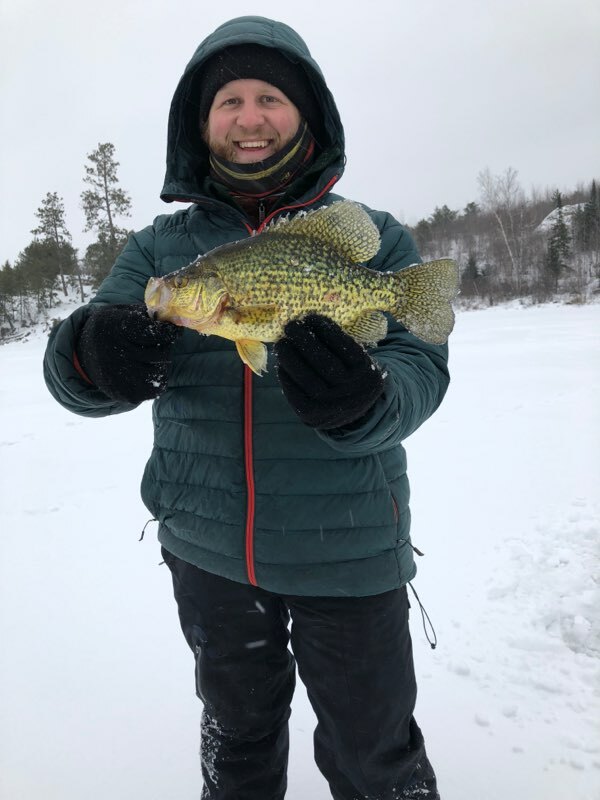 It’s fun to catch fish in the Boundary Waters. 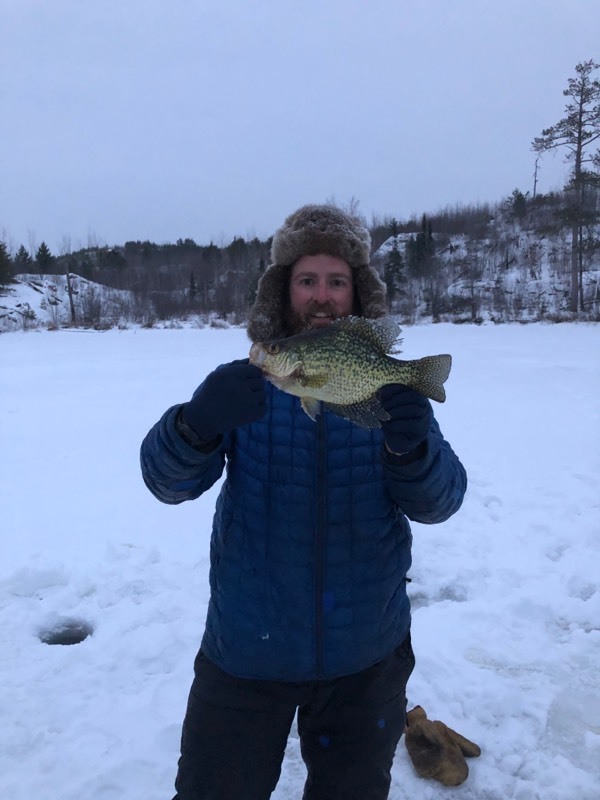 It’s even more fun when you get to pull them up through a hole in the ice. Do you ever wonder who came up with the idea to ice fish? I’m always amazed at the ability to drill a hole, drop a line and catch a fish. When the lakes are liquid you can move around from place to place quite easily but in the winter it isn’t so easy. You choose your spot and invest time in drilling a hole because you can’t use a power auger in the BWCA. It isn’t too bad drilling a hole at the beginning of the winter but when the ice gets thicker it becomes much harder work. These brothers make catching fish in the winter look easy. Nice catch Matt and Ryan!